The Bioko Drill Program is a conservation initiative aimed at conserving the Bioko drill through research, education, and outreach. 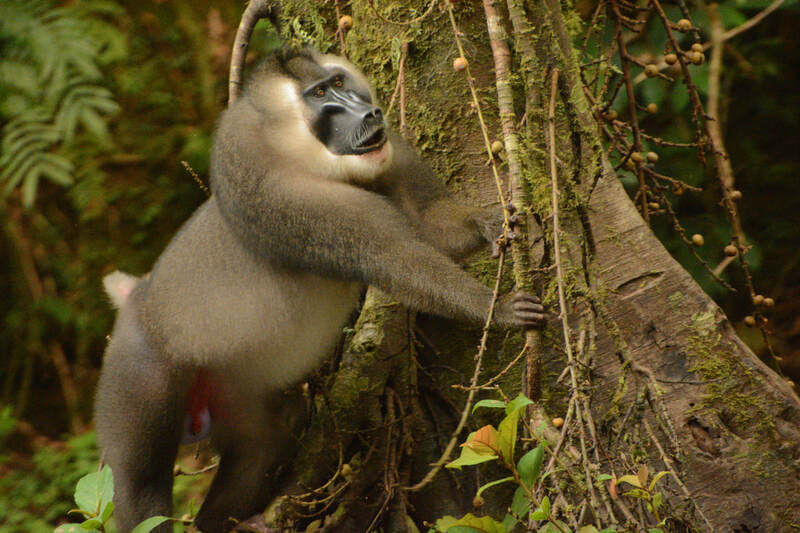 The Bioko Drill Program evolved from The Drill Project, which was a vehicle for production of a wildlife documentary on the endangered drill monkey (Mandrillus leucophaeus poensis) on Bioko Island. 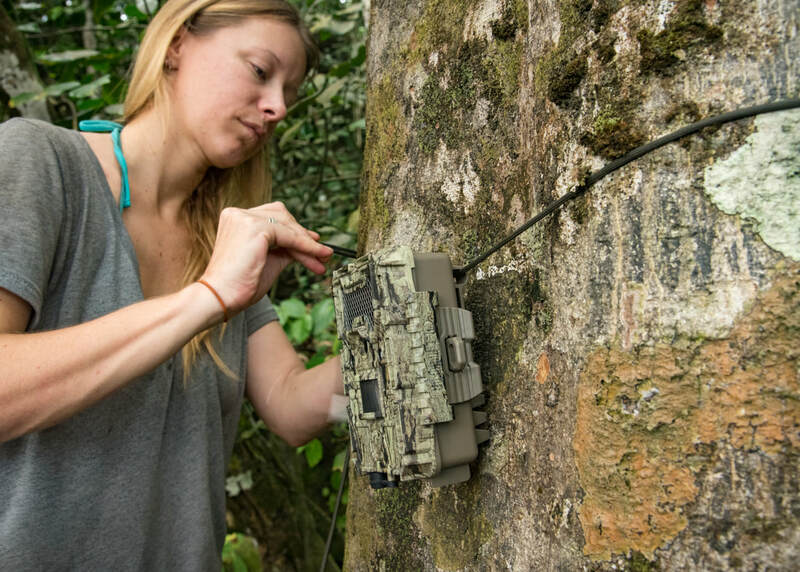 Dr. Shaya Honarvar produced “El Projecto del Mono Drill,” in collaboration with multiple organizations, as a conservation tool to increase awareness about the plight of these secretive endangered primates. The film has aired on national television in Equatorial Guinea and is available for free on YouTube (see video link on this page). The Bioko Drill Program is part of the Bioko Marine Turtle Program and Purdue University, Fort Wayne. The program focuses on research activities that will help to fill the enormous gaps in knowledge about the ecology, biology, and ecology of the drill. By addressing the startling paucity of information, we hope to be able to identify management and conservation actions that will be most effective in stopping the extinction of the endangered drill. The drill is largest non-human primate on Bioko Island with a small range includes multiple environmental zones, including the interface between the beach and the forest. By choosing the charismatic drill as a flagship species to study and protect we hope to maximize conservation efforts for the many endangered and endemic animals that share the forests and beaches of Bioko Island, including sea turtles! Two local university students help record data during primate census walk. An unprecedented increase in hunting for the bushmeat trade could lead to extinction of many endemic primate species on Bioko Island, including the Bioko drill. The Gran Caldera-Southern Highlands Scientific Reserve (GCSH), which composes about a third of the islands land mass, had remained relatively remote until 2014. That year marked the completion of a paved road from the large fishing town of Luba, through the GCSH, to the beaches on the southern coast. Traditionally a grueling hike through the forest which took up to 13 hours, a trip to the southern beaches can now be made in 30-40 minutes by car. The ease of access has resulted in an explosion of hunting activity, affecting both primates and sea turtles. As part of Lisa Sinclair's graduate research, we initiated a research and monitoring project to identify and evaluate primate abundance and hunting activity in multiple areas along the southern coast and the newly constructed road. Our objective is to document and evaluate the impact of human development and the presence of shotgun hunting on primate populations, with particular interest in the drill monkey. Drill monkeys are elusive, social primates with a small native range. Because these animals face severe hunting pressure, and because of the inherent potential risk any time there is direct contact between humans and wild animals, we are very careful to avoid any activities that could result in habituation of the study species. We use camera trap filming as the primary method for collecting ethological (behavioral) and ecological data on drills. During the 2017/2018 field season we initiated an extensive camera trap filming project and look forward to continuing the data collection next season! Please see below for a few examples of camera trap photos from the 2017/2018 season.